Oh my god! His first words! Mother do you think they'll drop the bomb? 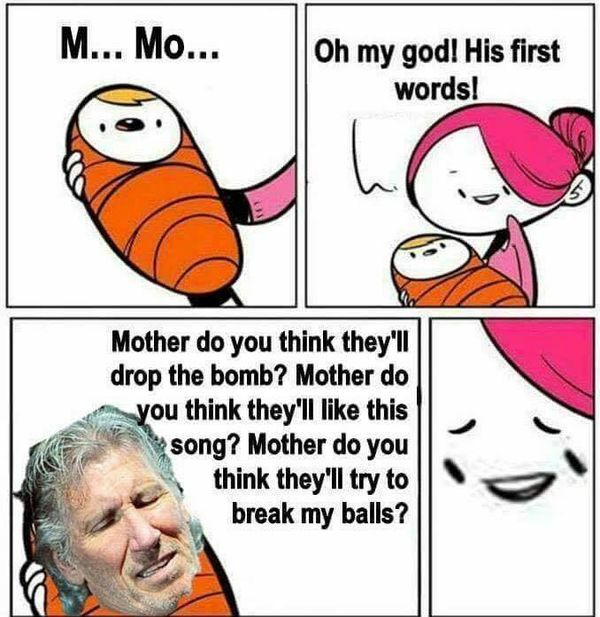 Mother do you think they'll like this song? Mother do you think the'll try to break my balls?